The 1st step to becoming a PRINCE 2 certified project manager is finding the best PRINCE 2 Foundation training course. The PRINCE2 (Projects IN Controlled Environments) Foundation Certification training is essential to start your journey. You will be spending dozens of hours studying with it, so it’s critical to find one that matches your personal learning style. We have reviewed all the PRINCE 2 exam prep courses below so you don’t have to! The comparison chart below will help you find the PRINCE 2 study materials that best fit your needs. Practice Exams: we’re sure you must have heard the phrase before, “practice makes perfect”. While that couldn’t be more true SimpliLearn incorporates 137 end of chapter quizzes to ensure you learn all the material and don’t see the same questions twice. Video Lectures: SimpliLearn provides over 29 hours of easy to understand and brief video lectures in which the key concepts that you need to know are explained. Real-world Examples: 20 real-world examples and 19 downloadable e-books are included to help you develop a working knowledge of the structured PRINCE2 project management methodology, including the seven principles, processes and themes. The Bottom Line: The combination of practice questions and video lectures make SimpliLearn an effective PRINCE2 study tool, but what sets it apart from its competitors is the way it incorporates real-world examples into its curriculum. Organized Learning Platform: The Grey Campus platform is well-organized and easy to navigate. The course content includes all your study materials and questions, sorted by knowledge area and practice group, to target those areas that you need it most. The course automatically monitors your progress and provides an overview of your performance. 1 Full Year of Access: GreyCampus gives you access to the PRINCE2 Course materials for 12 months, which is several months more than most competitors. You’ll have more than enough time to learn and master the material before the exam. Note that you only get 30 days to take advantage of the instructor helpline, so be sure to schedule your course timing maximize the use of that feature. 100% Money Back Guarantee: GreyCampus offers a 100% money back guarantee if you do not pass the PRINCE2 Foundation Exam the first time you take it. 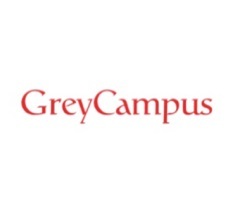 You must take the certification exam within 14 days of completing the course completion, finish the entire course, pay all enrollment fees, and pass 2 of the Mock Tests in the GreyCampus portal with a score of at least 75% to qualify. See Grey Campus for full details. Not All Questions Include Explanations: As with most courses you’ll know immediately if you got a problem right or wrong, but for some questions you may not find an explanation. While this isn’t a huge deal it’s definitely helpful to know why an answer is wrong or how to get a correct one. Luckily if you don’t understand a question’s reasoning you can always ask an instructor. The Bottom Line: GreyCampus’ well-organized interface provides students with a stress-free learning environment that they can complete at their leisure. Unfortunately, some of their practice questions fail to offer adequate explanations.